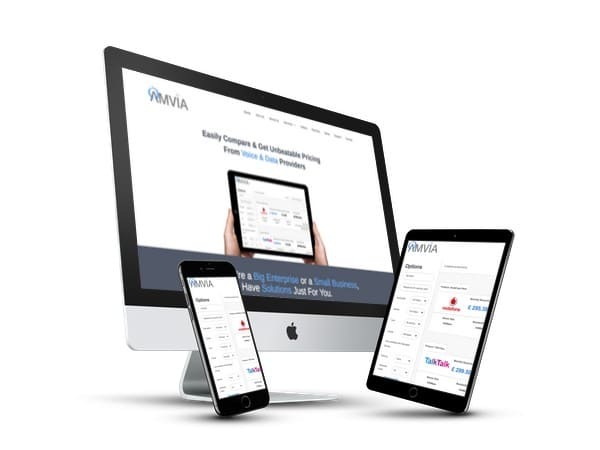 Welcome to Amvia Limited – Join 1000s of other UK businesses already benefiting from improved, cutting-edge, telecoms services. We’re a privately-owned, voice, data and cloud application provider. Our HQ is in Sheffield, UK. We supply services to small and large companies, including Oracle, SodaStream, and CIMB investment bank. 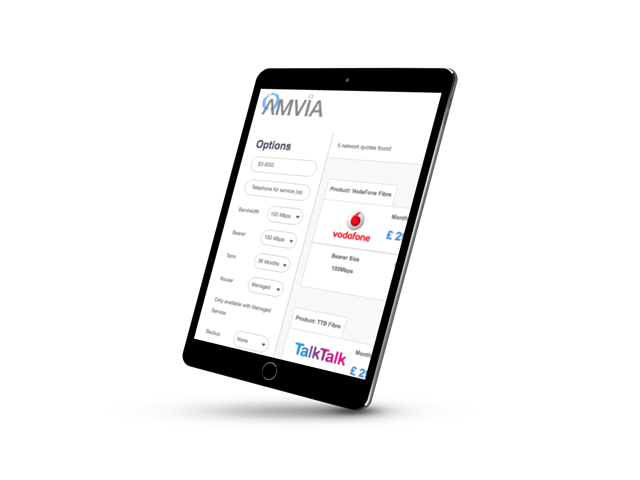 Amvia was founded to bring together some of the most experienced and talented UK telecoms professionals. Telecoms businesses are traditionally not responsive or customer-centric, we wanted to fix that. Since then, we’ve experienced phenomenal growth. We handle billions of data packets a day, yet are still focused on delighting our customers whenever they interact with Amvia. Our telecoms services can help streamline your business and enhance productivity. Work with our experts to discover and implement the best voice and data services to perfectly match your business requirements. Streamline your telecoms to reduce costs and operate more efficiently. Find out more about how your business could benefit from Amvia's superior voice and data services. High speed: Our data packages offer high-speed, business-grade internet access directly to your location. Enjoy a state-of-the-art network infrastructure with gigabit leased line speeds and business bandwidths that will provide optimal performance and a flexible design that can adapt as your business evolves. Total availability: Experience the peace of mind that comes with 100% available connectivity, backed by a powerful and highly specialised network. Our team of Cisco-qualified engineers use redundancy and other best practices to ensure optimal performance. Total flexibility: Your business is constantly evolving so your telecoms need to be flexible enough to quickly adapt as unexpected needs arise. When you partner with Amvia, it’s easy to scale bandwidth, add and remove phone users and customise your service for maximum performance and value. Bulletproof security: We stay ahead of online threats and continually upgrade features to provide exceptionally secure voice and data security. Our services provide the latest encryption technology and our voice and data products are constantly being updated with relevant patches for bulletproof security that protects sensitive data. Compare services and get the best prices from the leading voice and data providers. 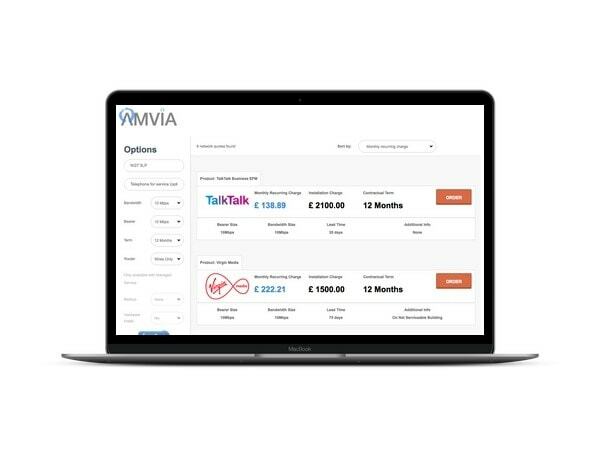 As part of Amvia’s commitment to matching customers with the best services for their business, we have developed a unique comparison tool that allows you to quickly compare services and prices. Simply enter your location and tell us about your needs to instantly find providers in your area and get a quick view of available features and pricing. We’re confident our services offer the best combination of performance and value, but we encourage you to see for yourself. Use our market comparison tool to see just how much you can save over the competition when you work with Amvia. Introducing Amvia Market Comparison Search – the new, innovative way to find the best business telecom services. Amvia believes that finding the right voice and data services should be as simple as one click. AmviaSearch™ provides you with instant access to the voice and data options available in your area so that you can save time, effort and money. Save time: On average, for a leased line comparison there will be 20 options for providers in your area. Instead of researching each provider individually, instantly focus on the providers that will benefit you most and compare them in one convenient place with our intuitive comparison tool. Bespoke results: Customise results according to your location and needs. With our search features, you can instantly compare providers and view leased line costs in real-time. Save money: View side-by-side comparisons of installation charges, monthly fees and any other charges so that you can be confident you’re choosing the best value within your budget. Live data: Markets are constantly evolving, which means that you need the most up-to-date information. Our search tool mines the latest data to provide you will real-time results that reflect what is happening right now in the telecoms industry.